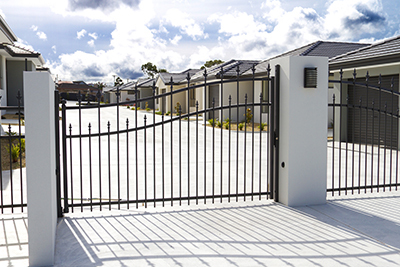 At Automatic Gate Repair Encino our Commercial Gate Services Team is ready to provide the best gate service in the city around the clock 24/7. Our experts are devoted to same day service and they provide a smile, friendly approach and pure professional results on every project we take on. The Encino community needs and deserves a gate company that will keep candles burning at both ends so as to ensure superb service when our friends and neighbors are depending upon it. Encino Automatic Gate Repair is the kind of business you feel confident about turning too when the going gets tough because you know that is when we are at our best. Our superb gate service team is standing by to take your call right now. 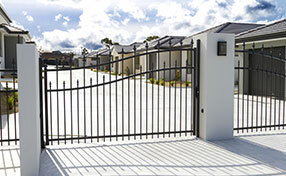 For complete automatic gate troubleshooting, count on our professional company. Our same day emergency service is renowned for having high speed and complete dependability. We are experts in fixing all system components from tracks, rollers and hinges to openers, safety sensors and remote controls. Our company covers absolutely all brands without exception. Restoring the condition of damaged wood, iron and steel panels is also among our major fields of specialization. 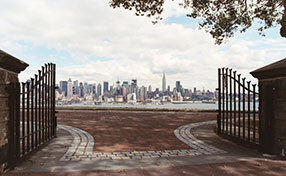 In order to prevent weather damage and all kinds of other serious issues, we have a gate maintenance service that covers everything from lubrication and inspection to the replacement of severely worn-out parts. 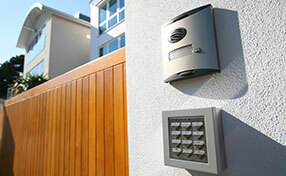 We are the right professionals for installing swing and sliding gates, openers and intercom systems. With perfect organization and accurate work based on attention to detail, we deliver perfection swiftly. Here at Encino Automatic Gate Repair we know that it is not always easy to find a good service provider, but we are glad to be of service for you. We guarantee our work and we strive to provide results that the entire team can be proud of. We only want the very best for our customers.